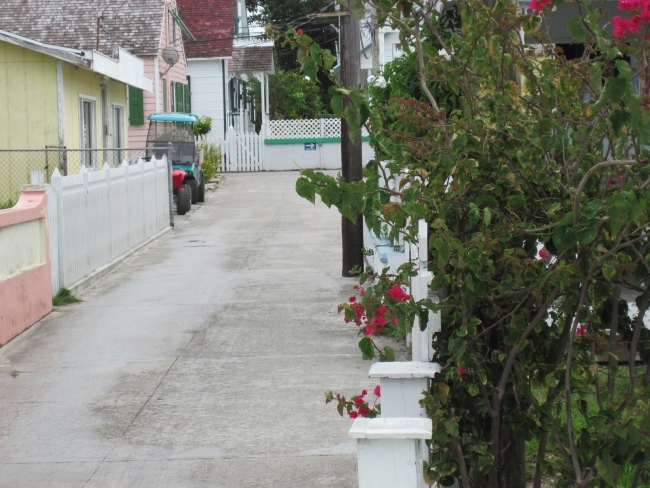 Painted in tropical colors of lime green and mauve, this charming cottage has a view of Settlement Creek and is 100 feet from the public dock. Explore the island with your complimentary golf cart, drive to one of our beautiful beaches or drive to the many local restaurants and sample Bahamian cooking at it's best. The screened-in porch off the kitchen is surrounded by lush native foliage and flowers offering privacy for morning coffee or a peaceful place to read a book and listen to the birds. Neville Key, also known as "Shorty", owned and operated many businesses in the Abaco's and on Green Turtle Cay over the course of his life. He was "The First" in many ways. 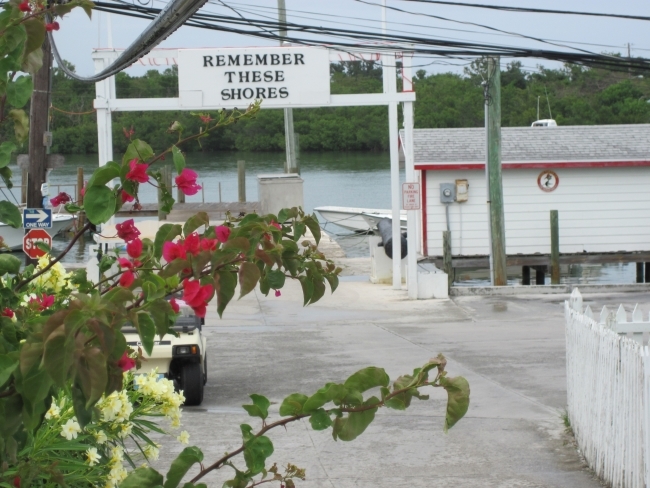 Shorty created the first fishing camp for tourists to be set up on Green Turtle Cay. 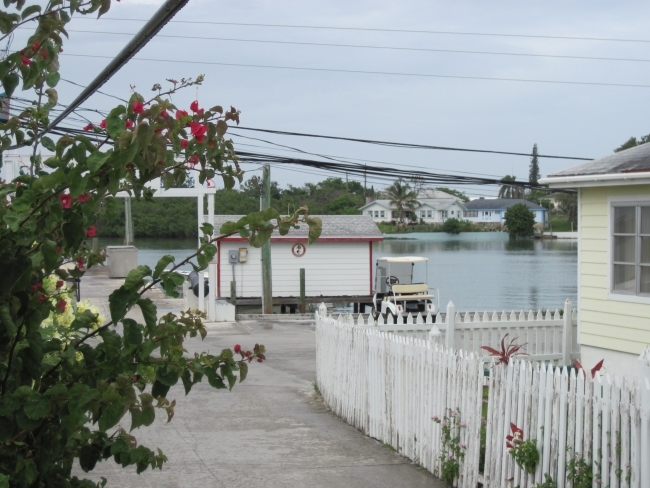 Among the many services offered by this business were bone fishing, deep-sea fishing and wild boar hunting expeditions on the mainland of Abaco. Tourists from around the world returned year after year to experience Shorty's services. He was also the first airline agent for Bahamas Airways, servicing Green Turtle Cay by seaplane. 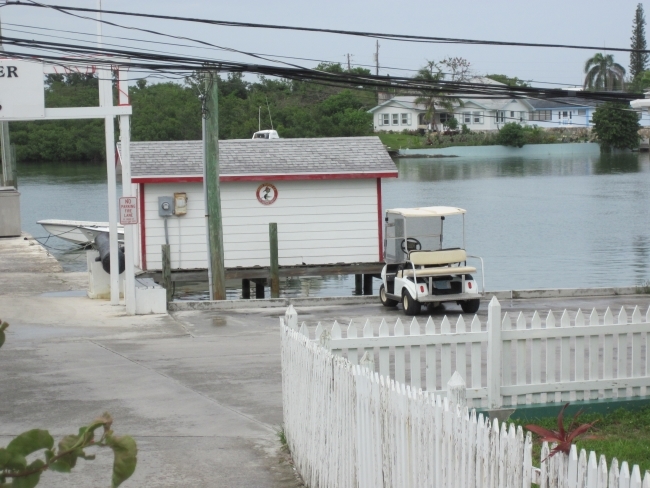 He operated the first ferry boat service between the Abaco Mainland and Green Turtle Cay when the Treasure Cay Airport opened. Shorty was the first on the island to install a TV, although the reception in those days was not very good. In later years, he catered to returning visitors by renting his home and adjacent cottage (Shorty's Cottage). To meet the needs of expanding developments in the area, Shorty became the first licensed electrician and plumber on the island. He continued in this profession until his health prevented him from carrying on any longer. Neville "Shorty" Key was fondly known as a “One Man Chamber of Commerce” for the Abaco’s and the Bahamas in general. He loved to be around people and, invariably, always made friends and strangers feel welcome. He was truly a "local legend." We hope you will feel the history and enjoy your stay in Shorty's Cottage! Overall accommodations are great - two bedrooms, two bath, TV, Wi-Fi. Walking distance to everything in town. Will definitely do it again sometime. 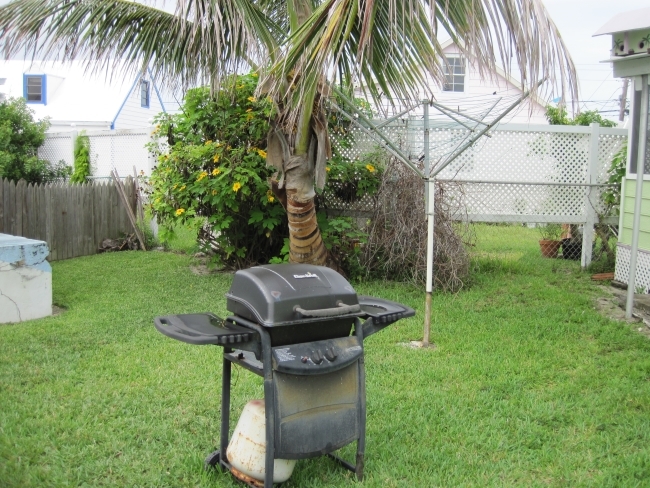 ★ ★ ★ ★ ★ The house was very clean and has everything you need. And a golf cart too! We had an awesome time.....swimming with the green turtles, feeding and swimming with pigs and, of course, Nipper's! We are looking forward to our next trip! Shorty's cottage is a great house in an excellent location. They even stocked up the kitchen with some items we requested in advance. We stayed for our wedding anniversary and had a perfect stay. We will be back. 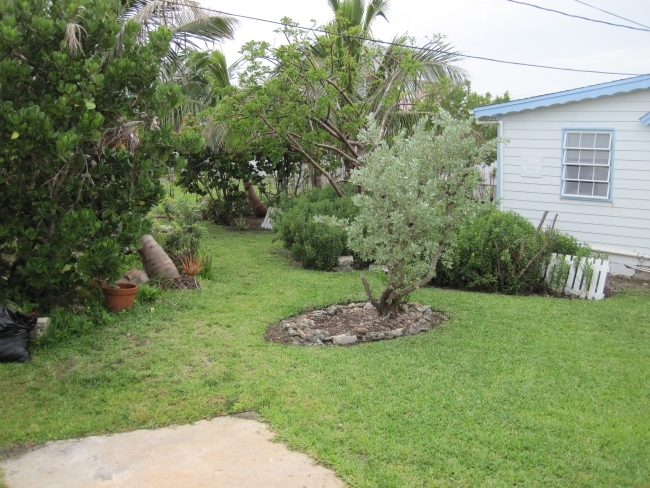 I will return to Green Turtle Cay and will 100% stay at Shortys Cottage. Sam and Marilyn were there waiting when we arrived on the ferry and helped us get settled. (Communications prior to arriving were quick as well and all questions were answered). Clean, cute and wonderful location right in New Plymouth. Just me and my partner stayed here but would also be great for a small family or even two couples. When we needed something or had questions Sam was never hard to find and was VERY accommodating and extremely friendly. I am usually very hesitant to rent outside of the hotels/resorts but I am glad we did so in Green Turtle Cay. We had friends and family staying at the larger hotels/resorts on the island and we have visited pretty much every location on the island and I am still extremely happy that we stayed at Shortys Cottage. The golf cart that was included was very convenient and the cottage had everything needed... towels, beds were made with clean sheets, toilet paper, paper towel, kitchen basics, A/C worked great, the list goes on. We were very impressed. Prior to visiting we even reached out asking if there was a cooler and they had let us know that there was not but we could ask upon arriving if we could borrow one- there was one waiting on the porch when we arrived. Wonderful visit and very happy with the accommodations and lovely people we meet along the way!